Although Bent Sørensen finds beauty in decay, he admits his music may be pointing in a new, less fatalistic direction. In April he will receive the 2018 Grawemeyer Award for Music Composition. There is much that is meticulous about Bent Sørensen’s music. But it would appear his work schedule is similarly pristine. ‘I have a deadline the day after tomorrow, which I will fulfill,’ says the composer on a Tuesday morning at Café Overfor, in the shadow of the Royal Danish Academy of Music where he was once a professor. That’s impossible, of course. As always with Sørensen’s works, the title and the music are connected as if by an umbilical cord, the former feeding the latter. ‘I get the title, and I don’t change it,’ he reveals later in our conversation; ‘in the title there is always the signature of what the piece is about.’ In that sense, Dances and Disappearance could hardly be more clear-cut. If Sørensen has a day and a half to commit his musical ‘disappearance’ to paper, nobody should risk disrupting the process now. The subject of titles brings us to two recent large-scale works. 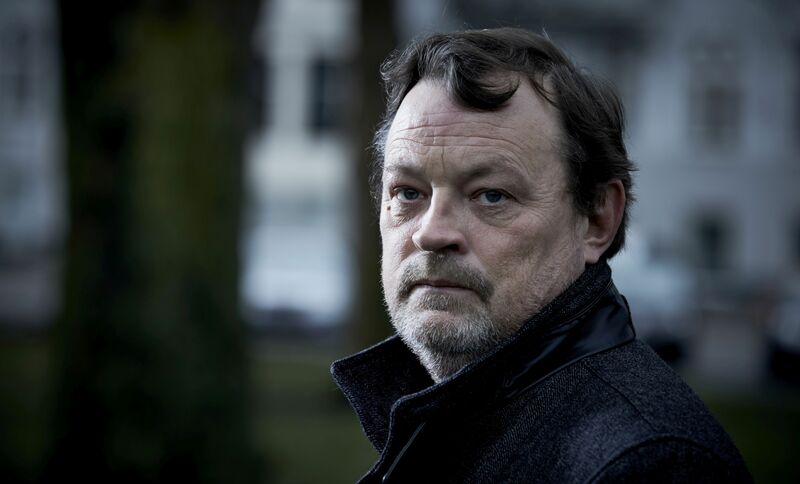 In November, Sørensen was in Manhattan to hear the premiere of his first work for the New York Philharmonic, Evening Land – ‘a city piece’, in his own words. Two days earlier, his triple concerto L’isola della Città (‘The Island in the City’) was revealed as the latest winner of the Grawemeyer Award for Music Composition. Sørensen’s face even made an appearance on Times Square’s big screens to mark the announcement. There’s neat symbolism in the idea that Sørensen’s new refuge in the city will come courtesy of a work that reflects precisely that sentiment. L’isola della Città was first performed by Trio con Brio and the Danish National Symphony Orchestra in January 2016. It has since been heard in Trondheim and will soon be played in Odense. Sørensen’s voice is consistent enough to ensure that new creations from him don’t generally throw up stylistic or architectural surprises. But the degree of refinement, distillation and control on display in this piece is breathtaking. It signals an advancing of his handling of the orchestra and some new thinking in its reconciliation of a triple concerto’s strange, unnatural configuration. He refers, once more, to the process of finding a title and letting it shape the piece. ‘When I had a visual picture of an island in the middle of a city, and transferred it to a musical picture, then it was really just a matter of sitting down and writing. That’s why my titles always come as small miracles, in a way.’ There is plenty more information on the genesis of the piece online, including a YouTube interview with Sørensen that digs further into that title. What interests me is the concerto’s final gesture: a consonant triad in G minor that suggests reconciliation between the trio and the orchestra – and, by association, the start of something rather than the end of something. Certain Sørensen students appear to have picked up on his music’s essence of distillation – its sparse, windblown textures. His talk of the Nordic symphony leads to a discussion of those northern composers who distilled their material to such an extent that it evaporated altogether, leaving only silence.